Dialogues of witness, dispersals, and affections. Expressions of the space between us. Meditations on belonging and drafting our shared futures. Communicating from plant to insect, from insect to animal, from animal to human. Impacting the knowable world using the unknowable. 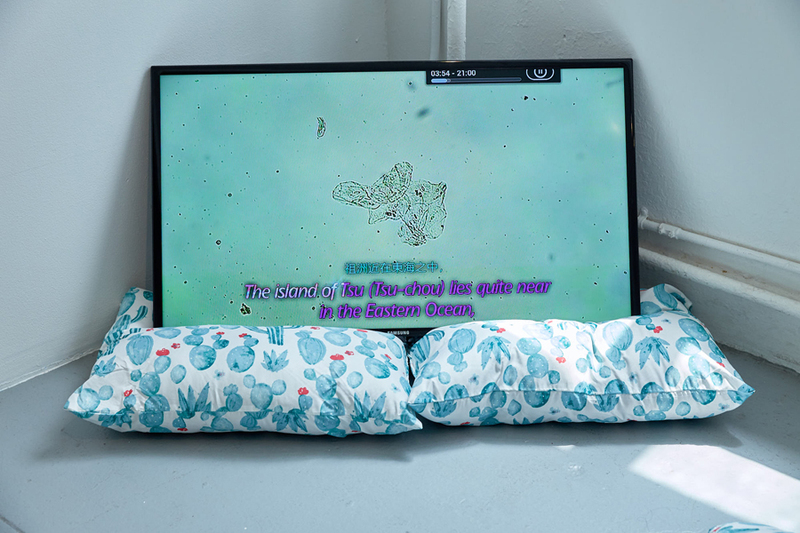 Seven Senses features the work of seven artists: George Bolster, Elise Gardella, Jeff Kasper, J. Soto, Maya Suess, Abbey Williams, Wong Kit Yi, who have spent a year participating in EFA’s SHIFT Residency. 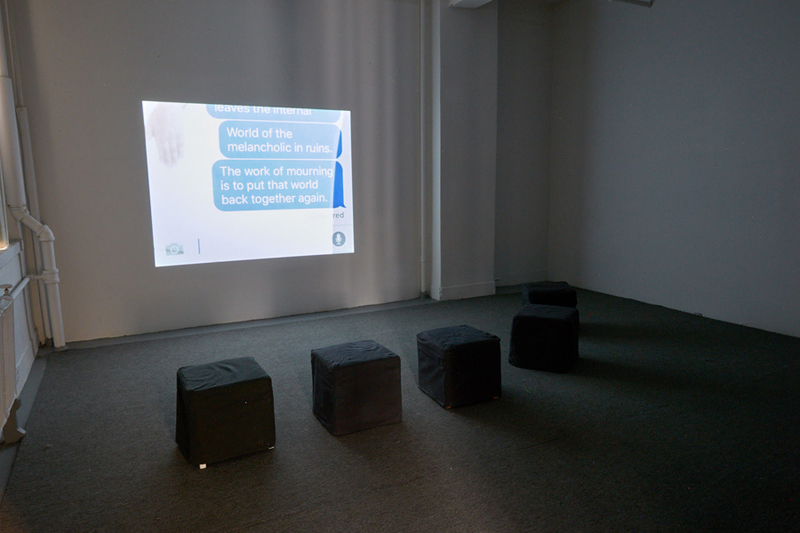 While conventionally, only five senses are recognized, these artists take on the interactivity and play implicit in (at least) seven. Collectively, their work explores spaces and the sense we make of them: those between our internal and external selves (2); the social constructions of our bodies; our sense of self and other (1); our understanding of language and how it connects us (3); how we make sense of space (internal, external, and infinite) (6); the expanse of our consciousness and culture (5); perceptions of time (7), the world, universe and multiverse (4). 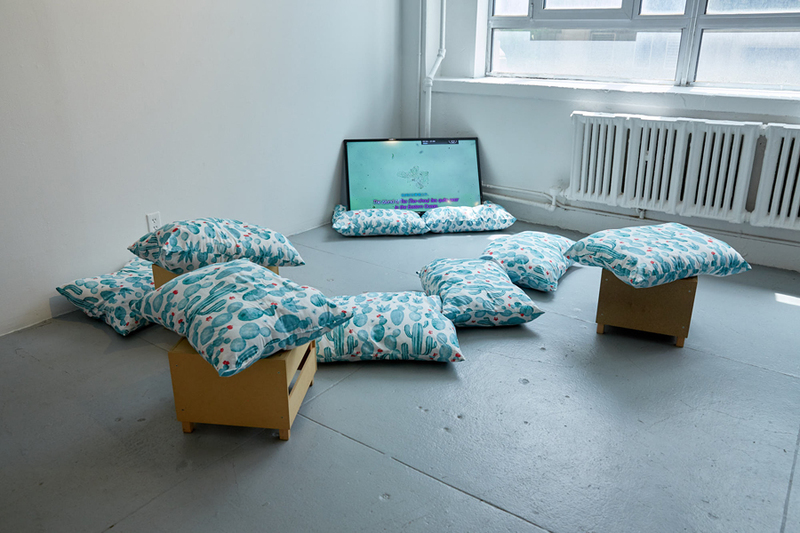 SHIFT Residency was launched in August 2010 to provide studio space and peer support for practicing artists who also work as arts professionals for organizations in New York City. 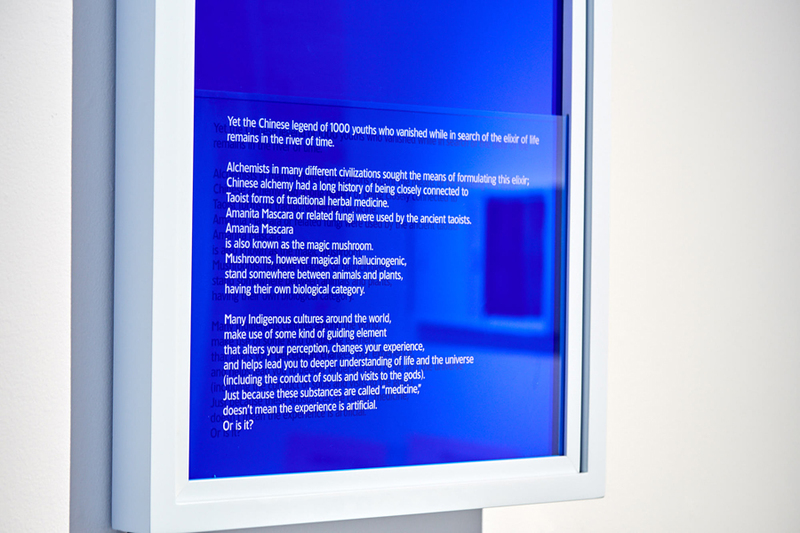 This program honors these individuals with a unique environment to build on their own art practices. 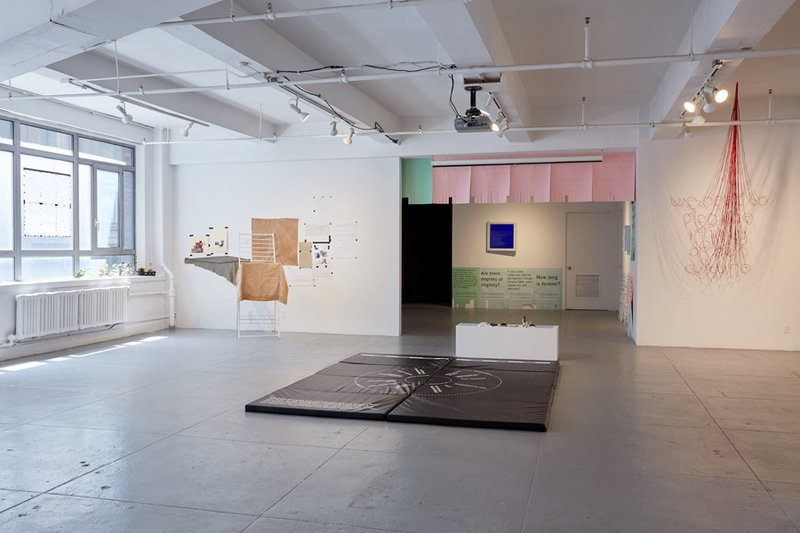 Six residents were selected based on their outstanding contributions to the art community plus their potential for artistic growth in a shared interactive environment. 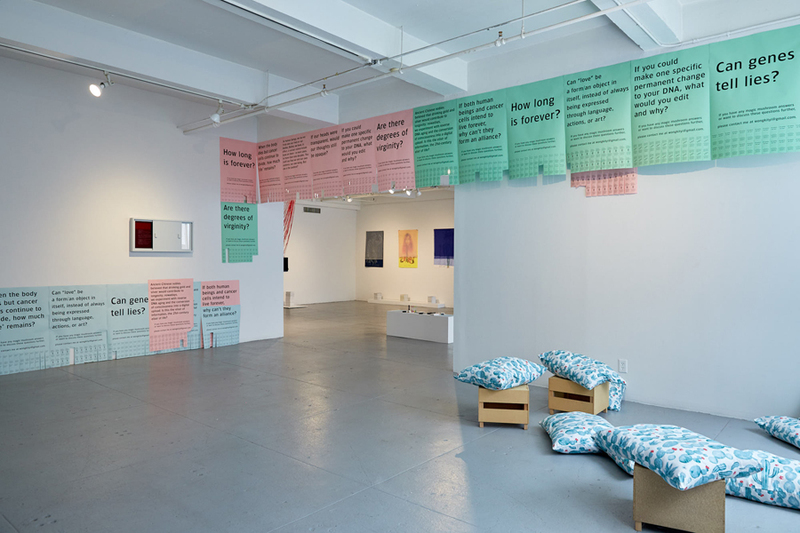 The unique nature of SHIFT Residency draws out unspoken challenges and considerations in the lives of its participating artists, who dedicate a significant portion of their time towards supporting other artists and the art community. 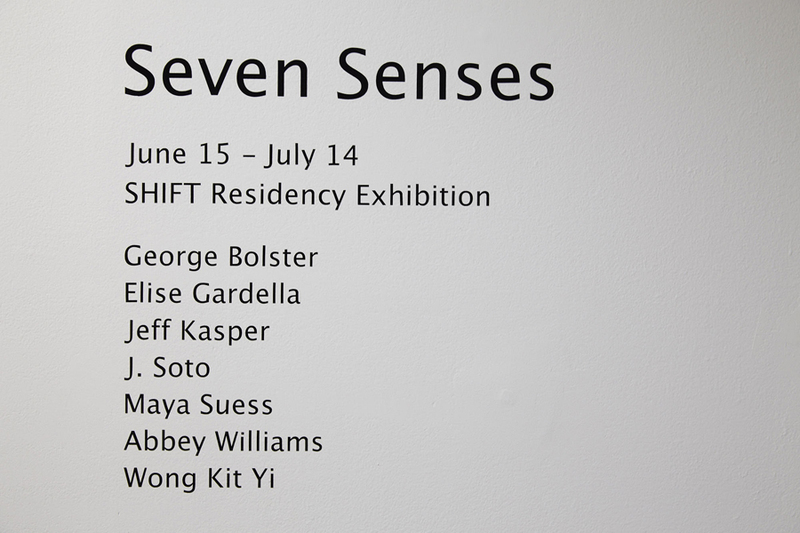 All artwork and programming presented in Seven Senses has been conceived of and created by the artists since they began SHIFT in August 2017.